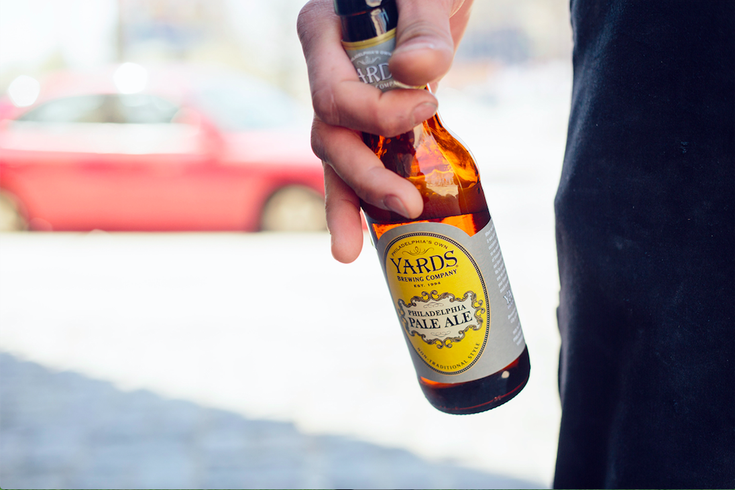 A bottle of Yards Pale Ale. The annual Great American Beer Festival welcomed breweries from 13 different countries last weekend, but rest assured, Philadelphia's brewers did the city proud. Iron Hill Brewery, with locations throughout the Philly suburbs and a new location slated for Market East, was awarded silver for its Solzhenitsyn beer, which was ranked as the second-best aged beer out of 26 entries. Iron Hill was also honored for its Russian Imperial Stout, which won silver among 80 entries in the best imperial stout category. Iron Hill was the veteran brewery representing the Philadelphia area at the competition, with its latest honors bringing its total to 47 awards over the years, but the brewery was also joined by nine other winners from Pennsylvania, New Jersey and Delaware. Iron Hill was topped in the imperial stout category by 2SP Brewing Co.'s The Russian, which was awarded gold. Other notable winners include Sly Fox Brewing, which won gold in the Belgian and French-style ale category with the Grisette Summer Ale; Yards Brewing, which won silver for its Extra Special Ale in the extra special bitter category; and Dock Street Brewery, which won bronze in the brown porter category with its Man Full of Trouble porter. Montgomery County’s Stickman Brews, which opened more recently in late 2015, won bronze for its Cousin Stoopid ale in the other Belgian-style ale category.